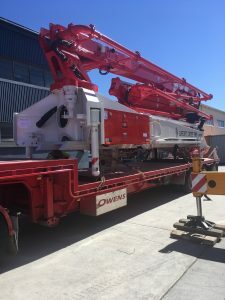 This new 37mt Supercrete concrete boom is headed for Gladstone. 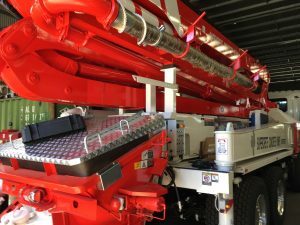 The boom is mounted on a new FUSO 8x4 truck. 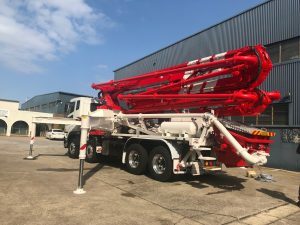 Supercrete concrete pumps and booms can be made to any of your requirements and under normal circumstances can be delivered within 10 weeks of the order being placed. 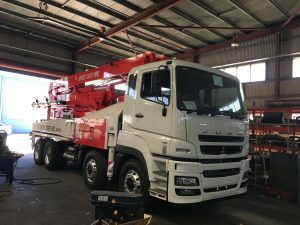 6 weeks for manufacture, 2 weeks on the water from Korea and all going well, 2 weeks to put the Supercrete concrete boom/pump and truck together.